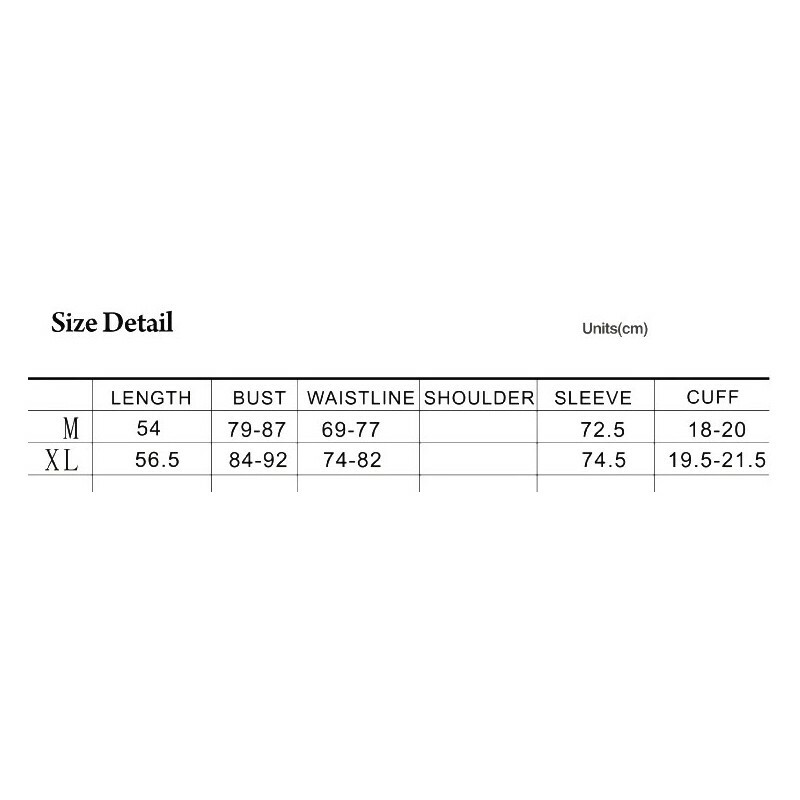 Black long sleeved gothic cotton top. 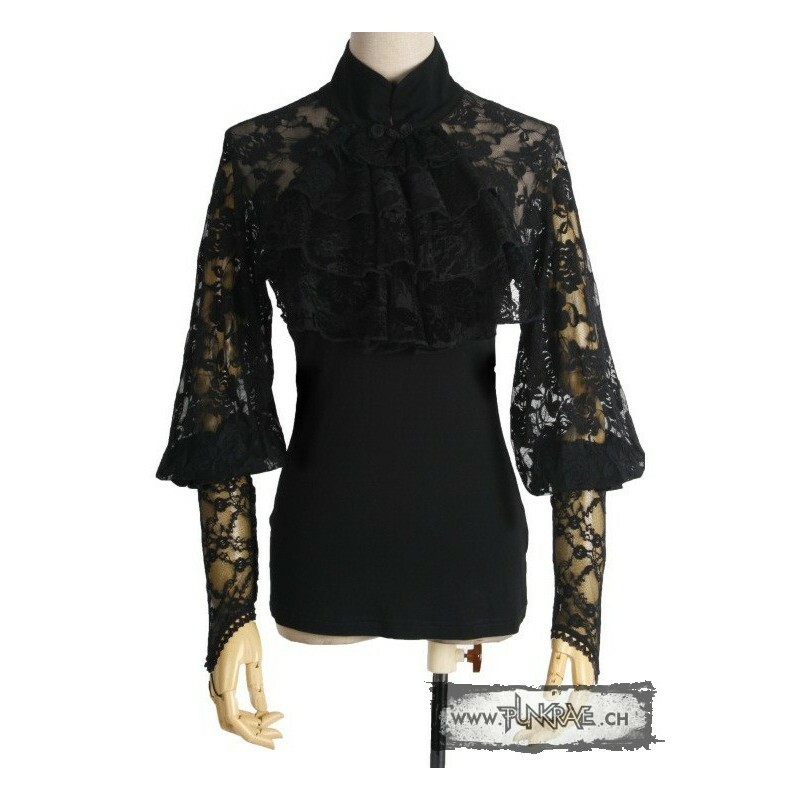 Black long sleeved gothic cotton top with rising collar, puffy floral lace sleeves, a large collar of black lace going from neck to chest, and a back lacing with two strips of black pleather attached to the shoulders. 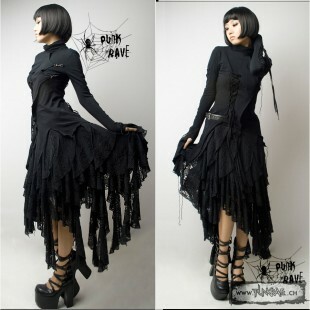 Punk gothic knitted sweater with lacing. 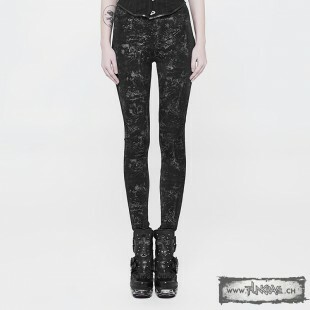 Velvet baroque printed gothic skinny jeans. 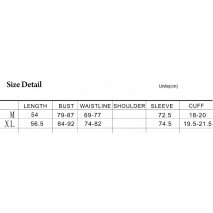 Long sleeved long shirt with a large neck, punk style safety pins and gothic skull print.